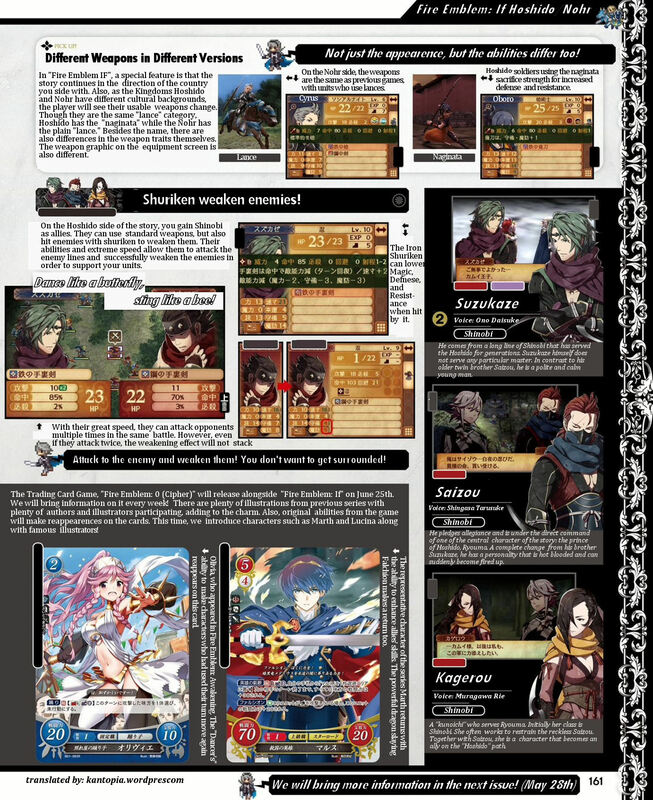 I translated all four pages of the FE Famitsu Scans for 5/28/15. 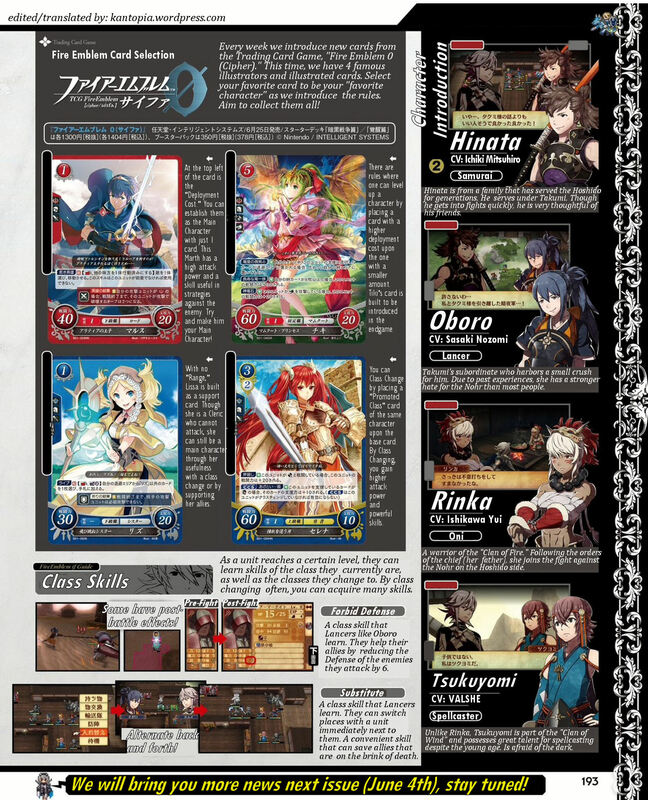 I put them on the pages too for your convenience. 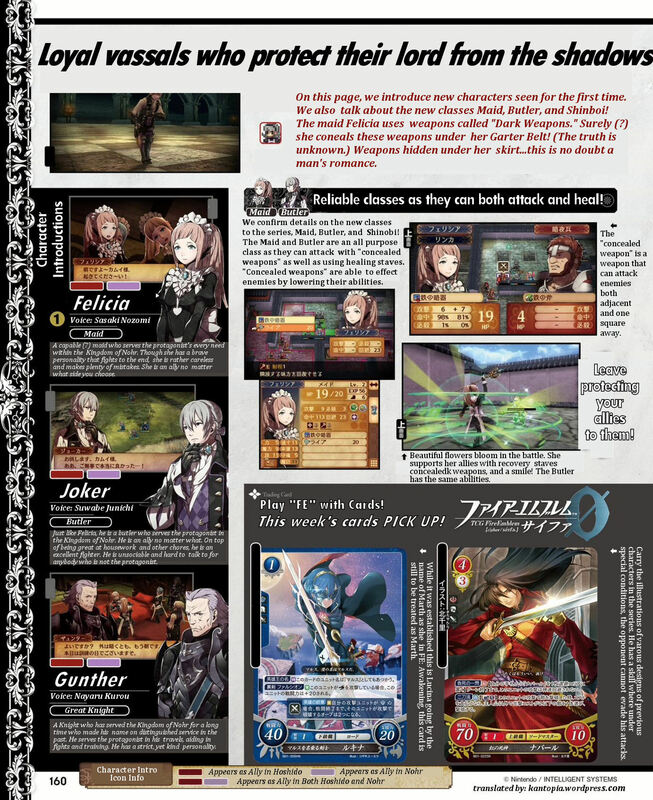 Thanks NintendoEverything for the scans. 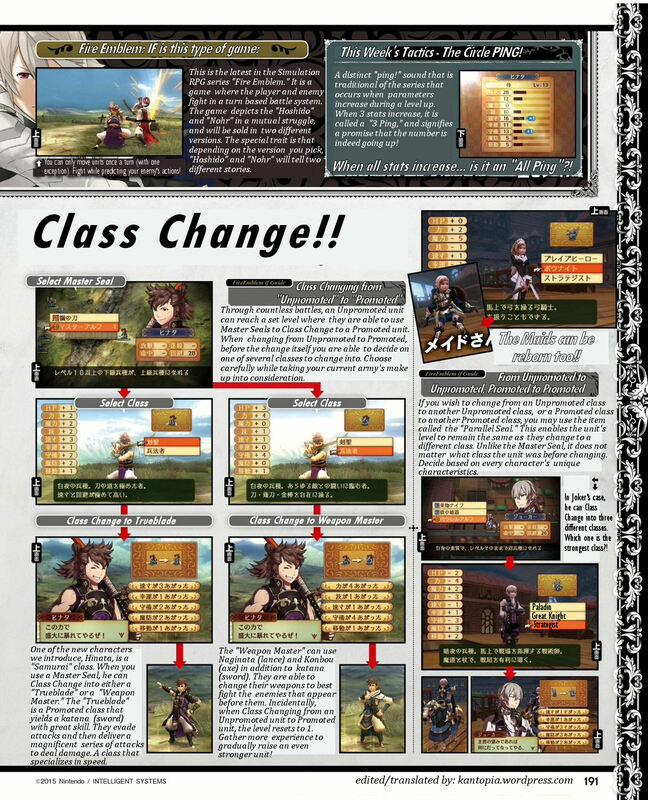 There are four pages total. 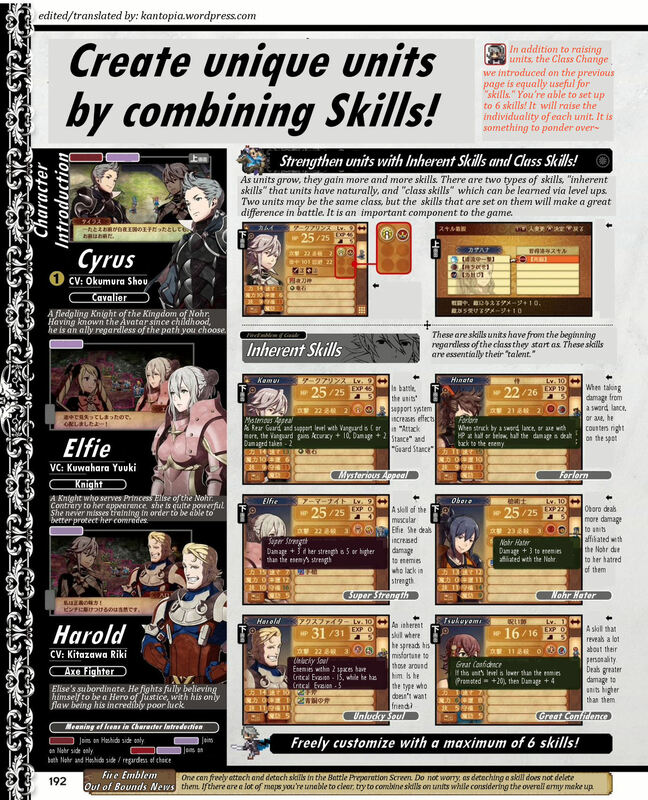 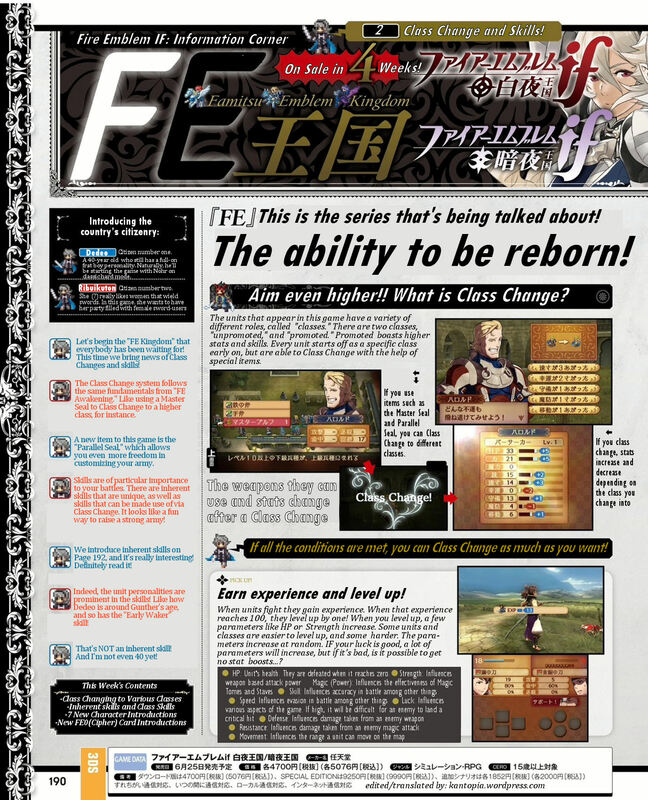 I translated all four pages of the FE Famitsu Scans for 5/21/15. 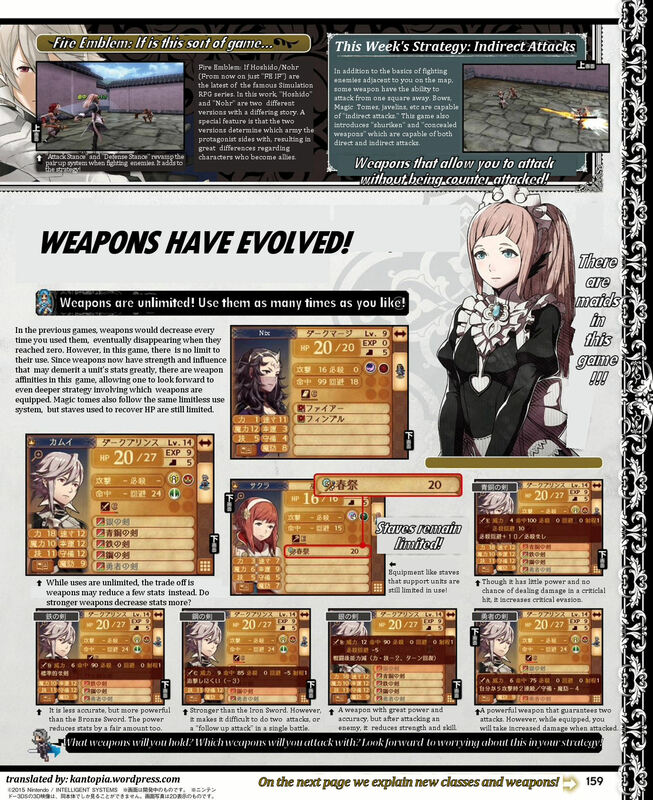 I put them on the pages too for your convenience. 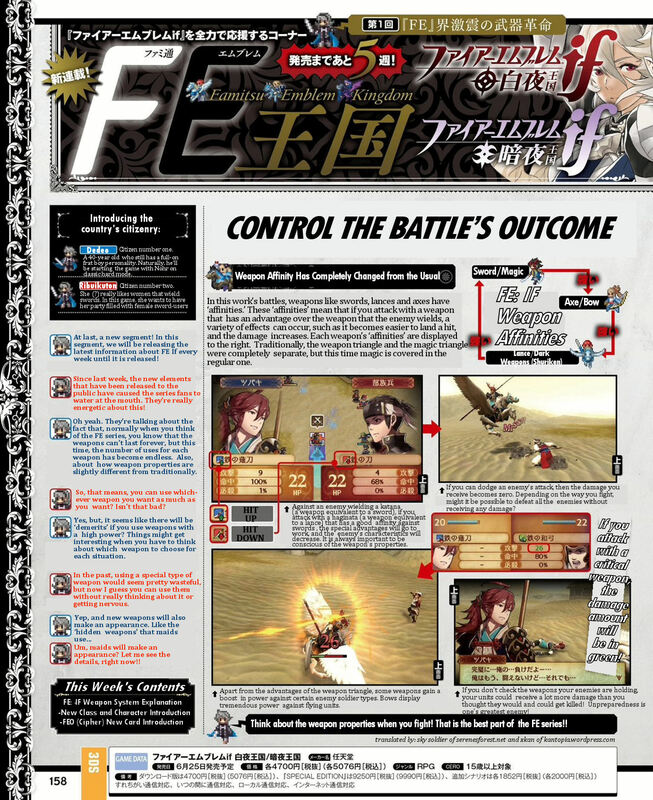 Thanks NintendoEverything for the scans, and thanks to user Sky Soldier of serenesforest.net for assisting on the first page translations.